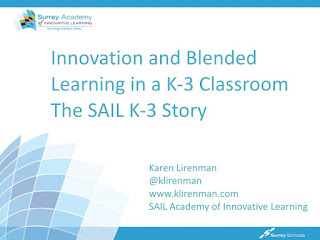 This past week I had the pleasure of sharing the beta year of the SAIL K-3 story at ISTE. While I presented several times over the conference, this session was the one nearest and dearest to my heart. It is a story that needs to be shared. 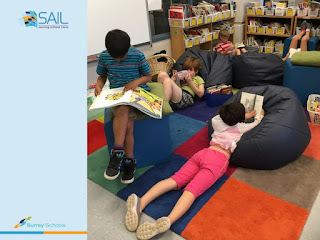 At SAIL we are looking at school differently and we are trying to change the way school is done. 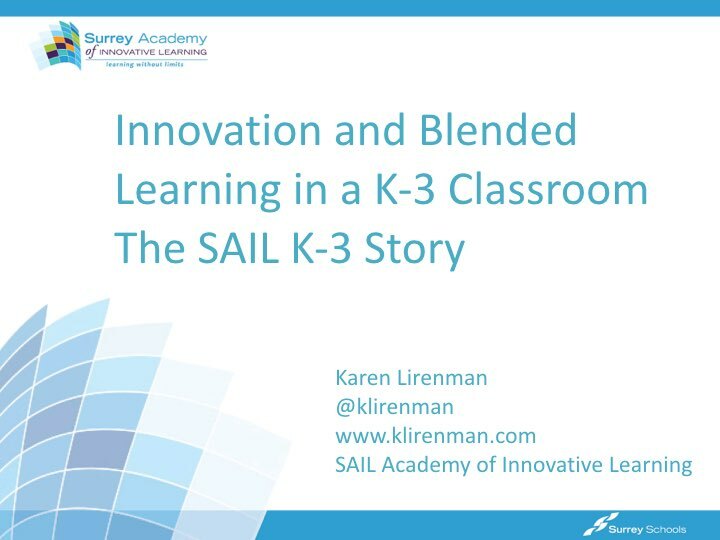 I have been fortunate to get in on the ground level and this past year I had the opportunity to reinvent school at the K-3 level. I won't lie though, it was one of my more challenging years of my career, but it was also one of the most rewarding. Let me share some of my slides and a bit of our story with you. 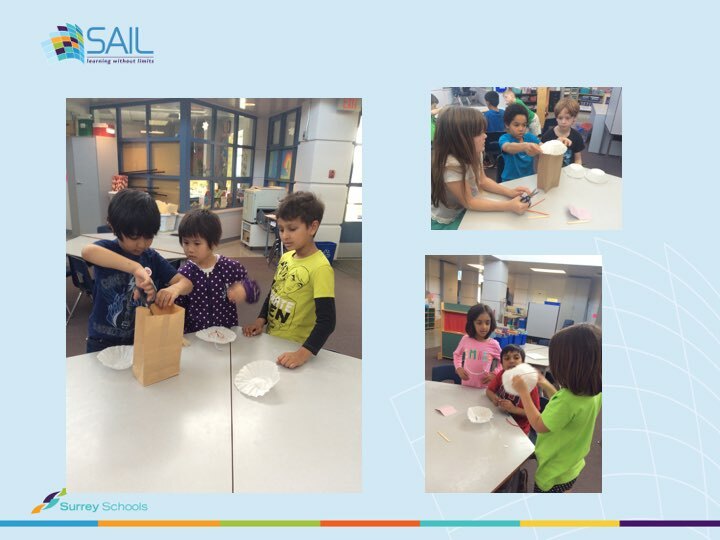 The SAIL program came out of the rebranding of the previous Surrey Connect program. Things weren't as good as they could be with Surrey Connect and SAIL was designed to change that. 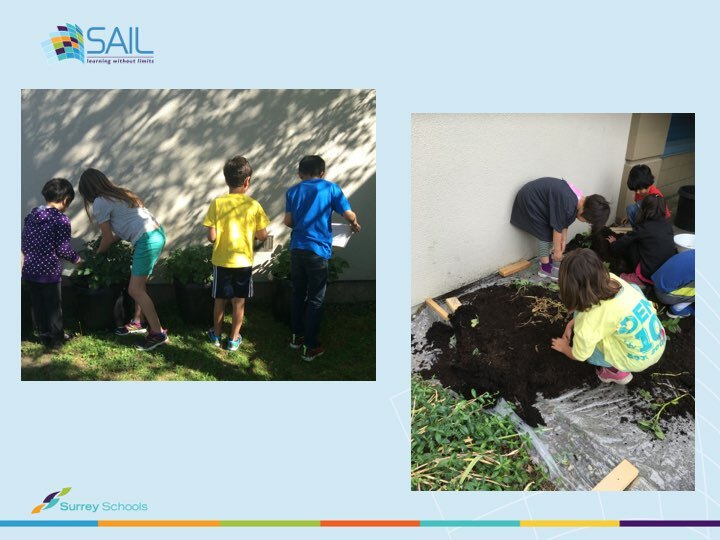 In case you are wondering SAIL is a FREE PUBLIC school program which welcomes students from all over the lower mainland. This means you do not have to live in Surrey to attend SAIL. SAIL is a distributed learning program which means some of the learning must take place away from school. For us that means four full days in school, and one day away. The weekly home learning includes parent involvement, family learning, and community learning. 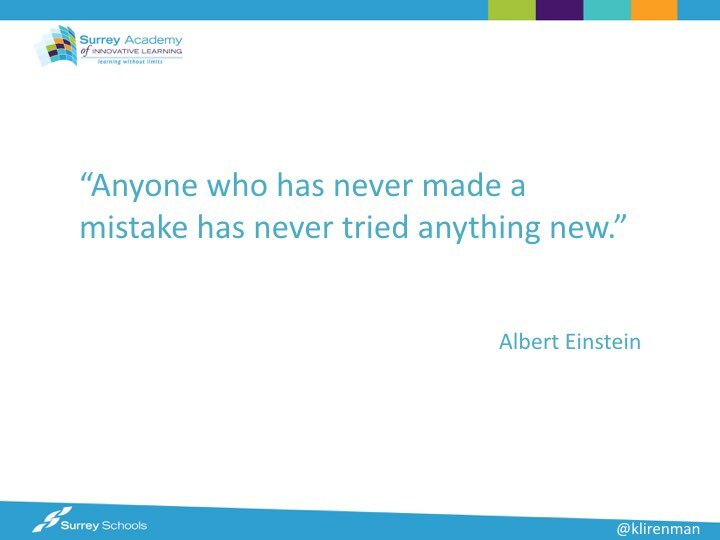 I will admit, that this has been one of the challenges of the past year as I'm constantly trying to be creative with my planning so that the home learning that goes home is meaningful, engaging, and connected to our classroom big ideas. 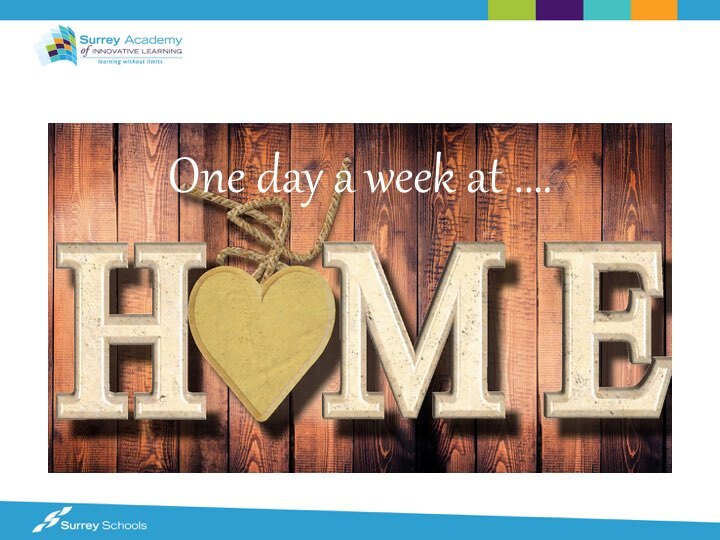 Having my students only 80% of the time means the home learning piece is an important part of the program. At ISTE I focussed the presentation on the fact that with SAIL we are trying hard to put structures in place for successful student learning. You need to understand that some of my students were losing patience with their neighbourhood schools for one reason or another. Some of the structures we've put in place include valuing student choice and voice AND using child centered reflective teaching practices. 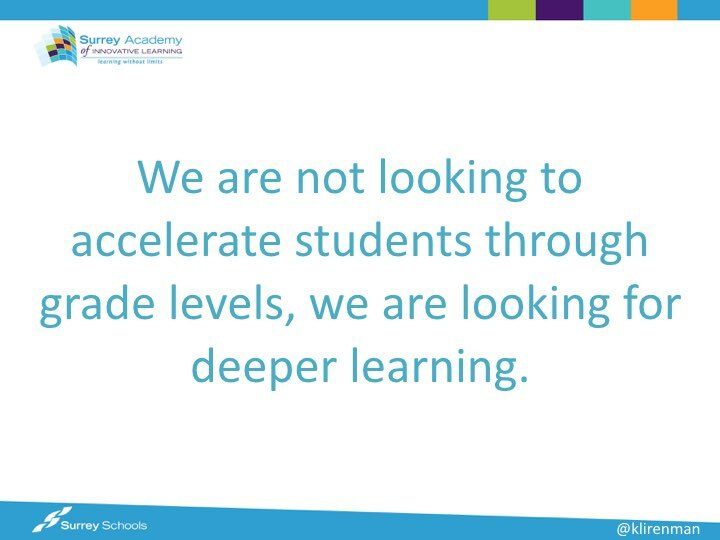 From the slides below you can see that I spoke about some of the ways we value student voice and choice. I don't think it's so much that we are doing something innovative, but more so that we are open to letting our students have more voice and choice. 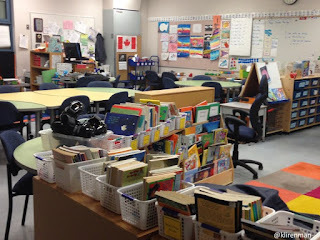 Below are a few snapshots of our classroom. You'll see that we have no assigned seating and my students can work where they want to within the room. Some get pretty creative from time to time, but as long as they are on task doing what is expected of them, they select where and how they work. My students also have the choice of selecting the tool that works best for them. 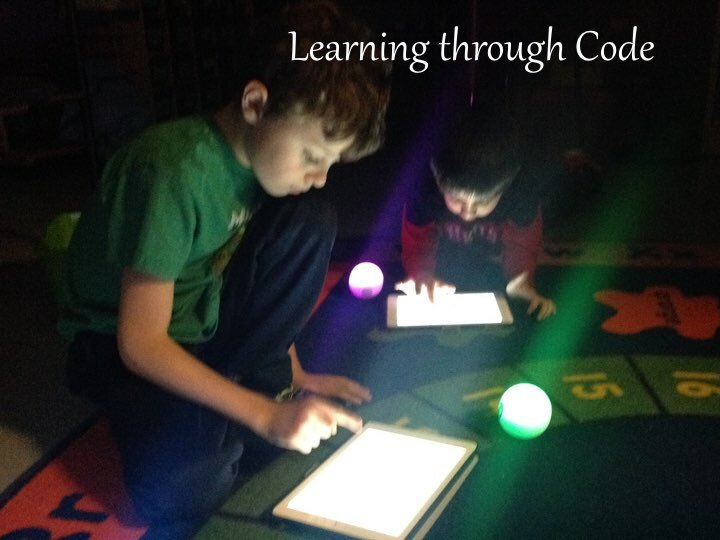 While we do have access to technology in my room, technology isn't always the first tool chosen. It really depends on the task and the learner. 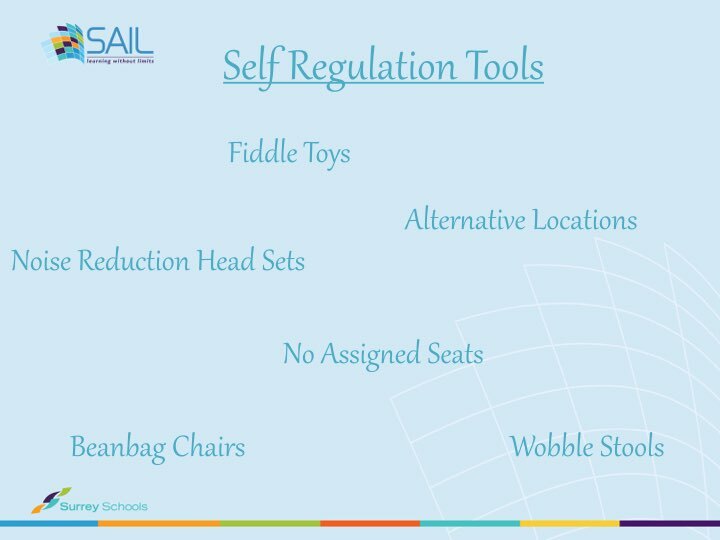 We also have a lot of self regulation toys in our classroom. 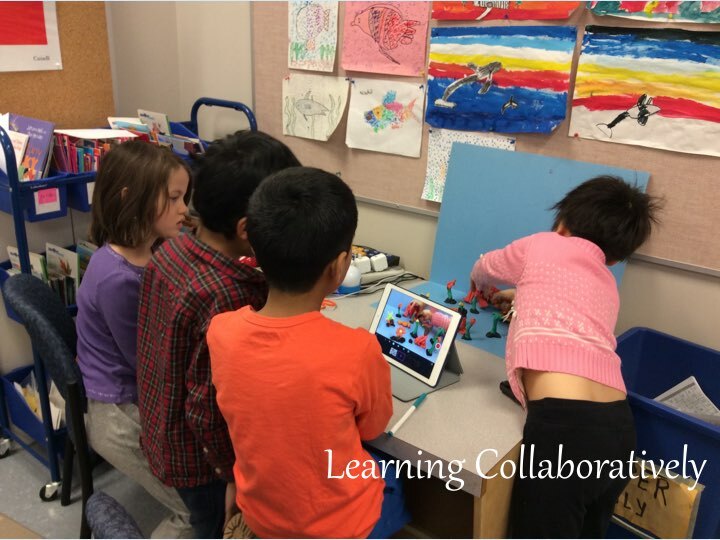 We are trying to create an environment where the students have control over their learning. In a more traditional class these toys may all be available but more often than not it is the teacher deciding who needs what. For example the noise reduction headsets may be assigned to the child who is sensitive to noise. 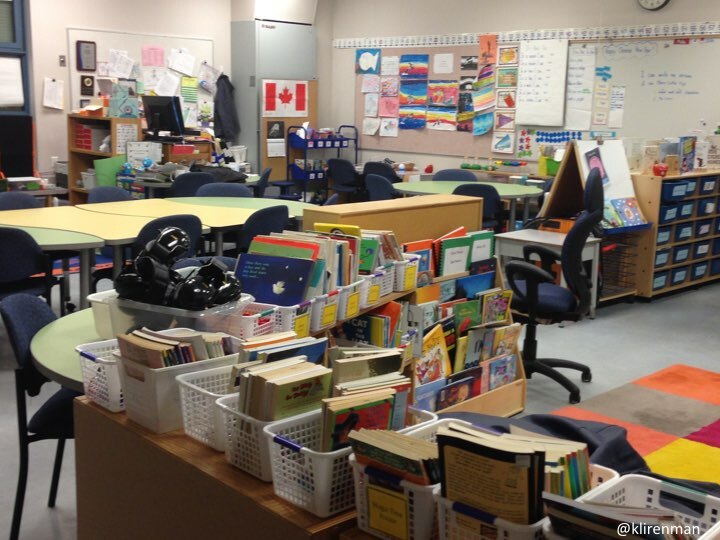 In my classroom these are just tools that any student can grab as needed. My students are not singled out. 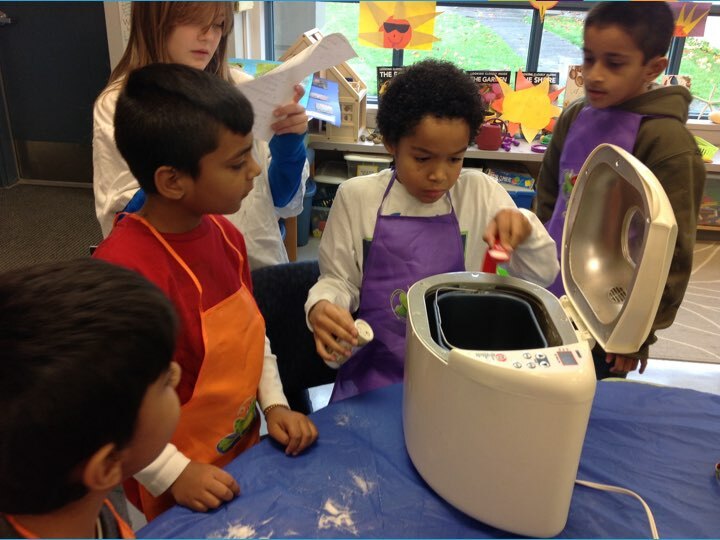 They use the tools available to them as they feel they need them. And yes, there was pre teaching around this and my students have become much more aware of their unique and individual needs. 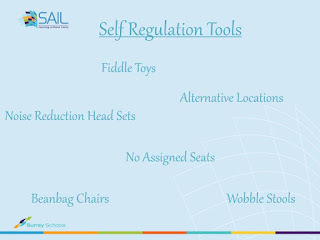 Teaching self regulation is a very powerful strategy for student success. I've also broken down some of the more traditional things I've done. 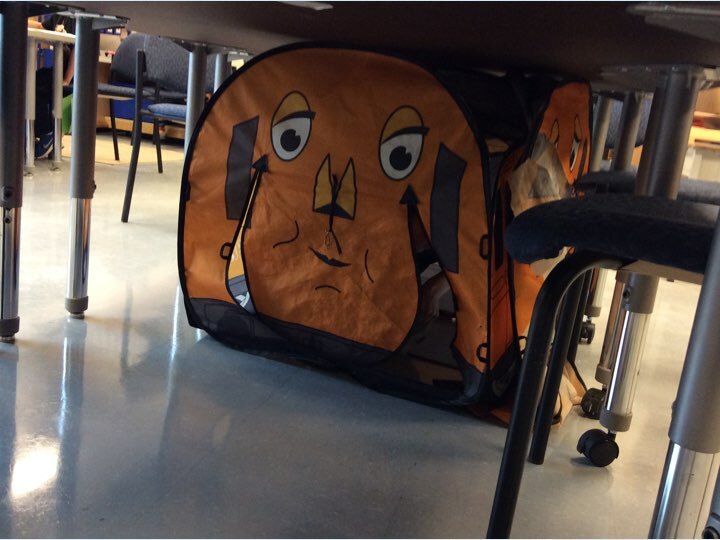 I've spent lot of time rethinking what structures I have in place to keep me happy, and found ways to open them up to allow my students to be happy. At such a simple level, the Valentine's folders below are just one place where I let go. 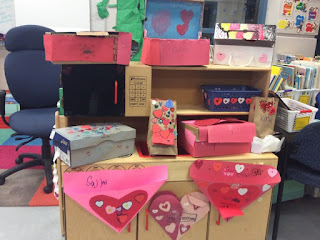 Yes, my students did have criteria for making them (they had to hold valentines, their name had to be clear, and there needed to be at least one moving part) but how they were made was up to them. As you can see everyone had a different take on the task, and I did what I could to support them. 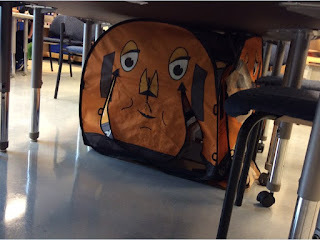 My students often have a variety of ways to show what they are learning. Take for example the image below. 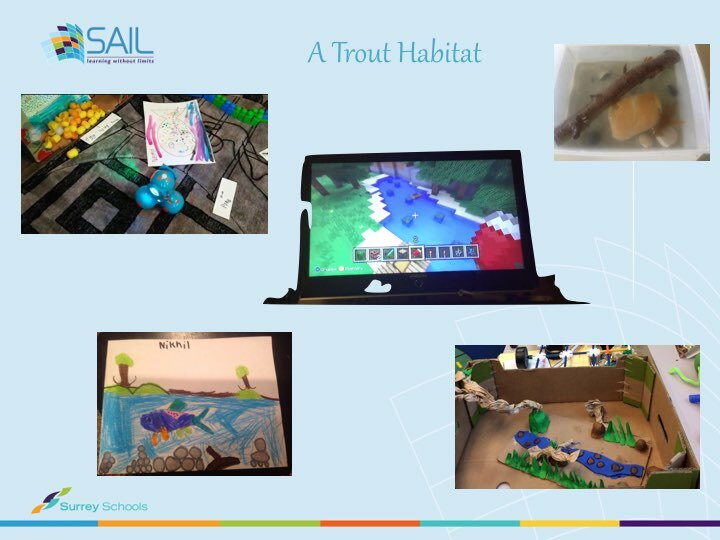 As part of our inquiry on trout my students were required to create a trout habitat and explain the key features of their habitat. As you can see by the images below my students created in a variety of different ways, yet each one was able to explain what they did to create their artifact and why. 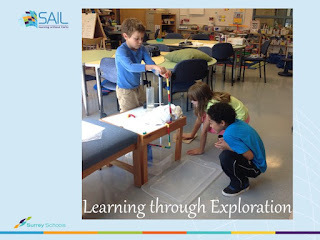 Inquiry was another big theme in our classroom. At times I would wonder if we were in fact doing inquiry but as I started to collect a sample of their inquiry projects I was quickly reminded about how much inquiry my students did do. 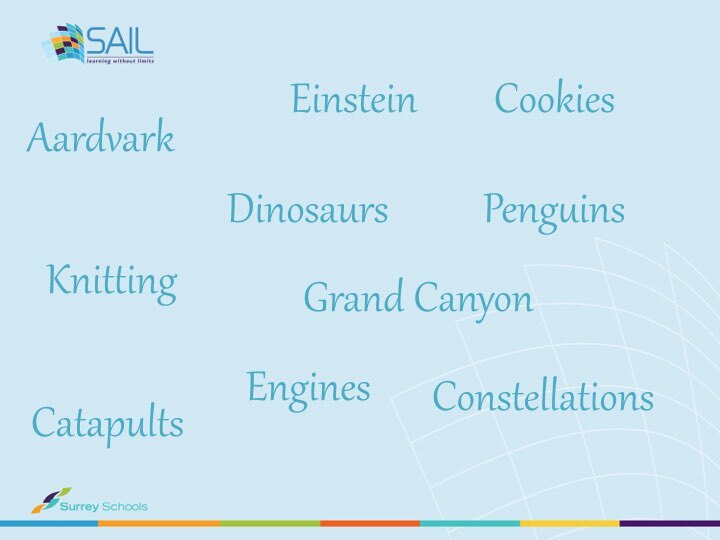 Below is a list of just a few of the inquiry projects my students explored. 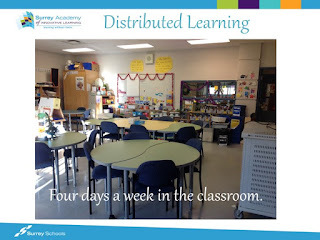 In our classroom we also do a lot of learning by design. 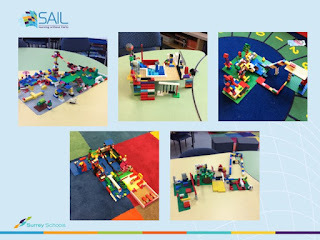 Below are "dream" playgrounds created and designed in Lego. It was through their creations, and the discussion and reflections that followed, I learned a lot more about my students and what they valued. My students also worked through many design challenges to solve problems linked to real life situations. Here my students are creating a prototype of a shelter for a plant that was stuck in an environment with way too much rain. My students worked with simple items but explained their thinking at a complex level. Each part they added to the prototype had a purpose. And of course we have a maker mindset in our classroom. My students knit, sew, garden, bake etc. They create with and without technology. If you haven't figured it out yet my approach to teaching is very student focussed. My students help guide the direction of my planning. 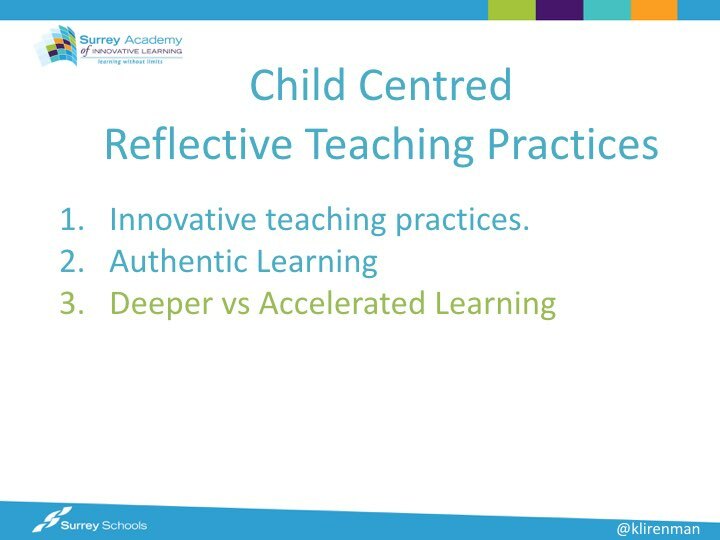 As a teacher I strive for child centred reflective teaching practices. 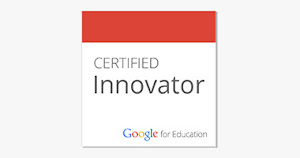 I speak of innovative teaching practices and authentic learning but really what I'm trying to do is what's best for my students. Below are just a few of the ways my students learn. 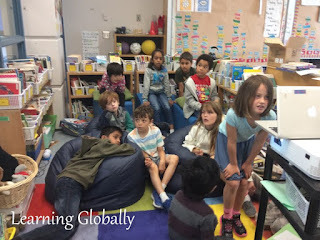 They aren't extra "events" in our room, they are just how we learn. I also try, as best as I can, to bring in real life learning. We are makers by nature growing flowers and food (yes we grew, harvested, prepared and ate potatoes), learning to knit, and creating for purpose, using anything we can get our hands on. 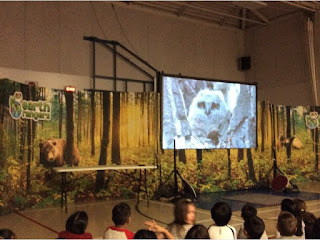 We have come up with ways we can help our classmates, our school, our community and our world. The Earth Rangers program was a huge catalyst for many of my students as they got right to fundraising to help save endangered Canadian animals. We also have a very STRONG motto of kindness and even when we are upset with one another we keep our words kind. Kindness penetrates everything we do in our room. My behaviour management system is building relationships with my students, and supporting them with theirs. Many think our program is an accelerated one, that you need to be a gifted learning to join, but none of that is true. 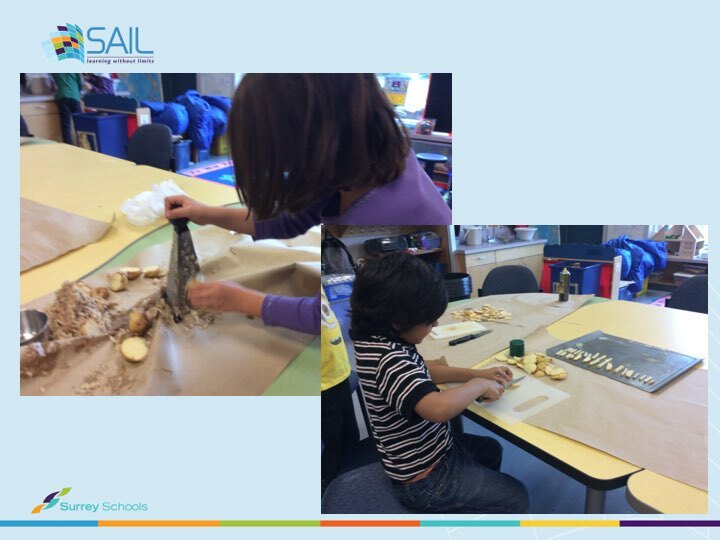 The real beauty of the program is that we dig deeper with our learning so the skills that we are gaining will transfer to different situations. 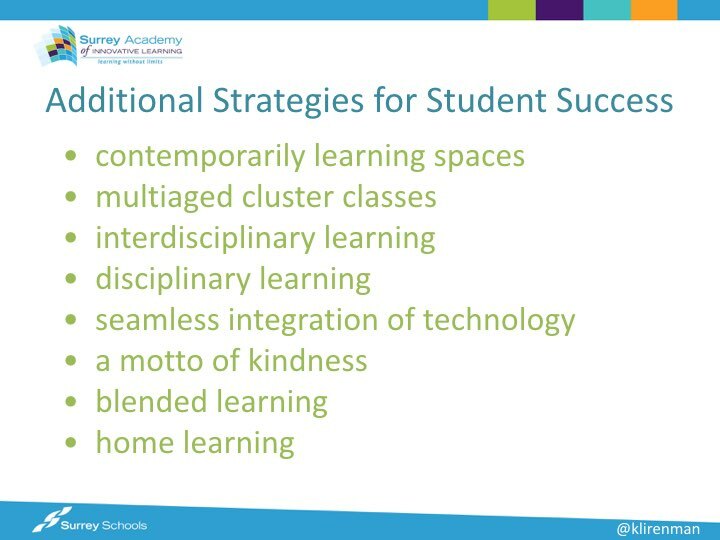 We have many other structures in place to support student success. Our flexible furniture allows our learning spaces to change as needed. We learn in multi aged cluster classes which means we focus far less on individual grades and far more on who we are as learners. Yes, each child does work through their required curriculum, but the focus is on them as learners. We have both interdisciplinary learning where many content areas are uncovered together through some of the projects or activities my students do, and disciplinary learning too. Technology is seamlessly used in the class. Those who need a device will grab one as necessary. Many of our devices are shared too if that's what is need. In general we work pretty collaboratively. There is no point in me being the only teacher in the room when I have a room full of teachers. My students knowledge is valued. What I believe has been some key successes of this program is that we have engaged learners whose anxiety has decreased and there is increased empathy in all situations. It's really quite wonderful. But of course everything hasn't been perfect and I'm already thinking about ways to improve and change for the next school year. You see, that reflective piece is so key for both me as the teacher, and for my students. 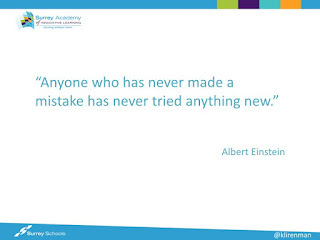 My students regularly reflect on what they have done well or are proud of, and what they'd like to get better at. 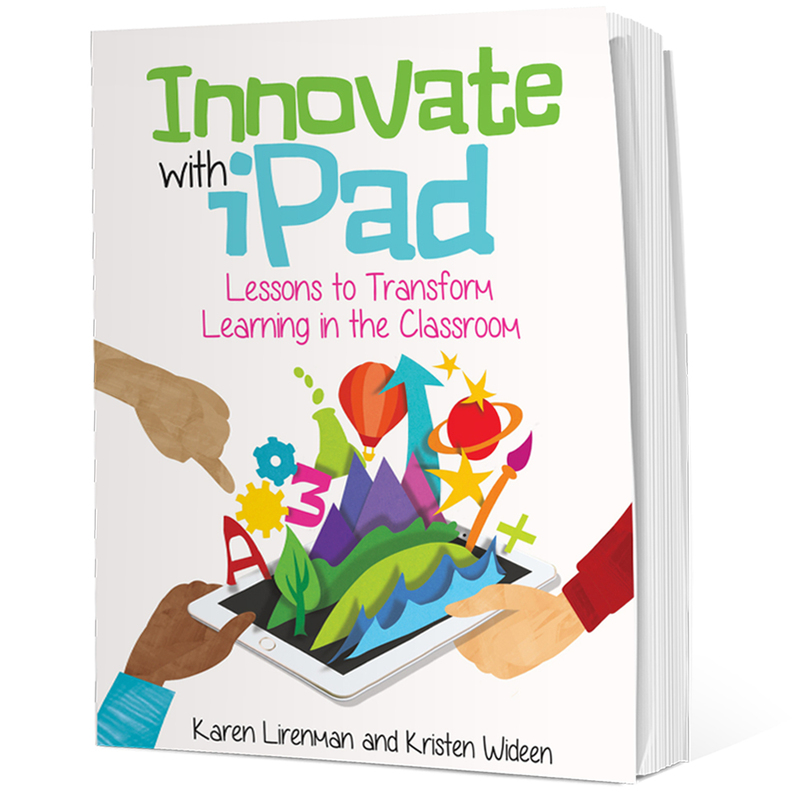 They have both their blogs and their digital portfolios to do just that. 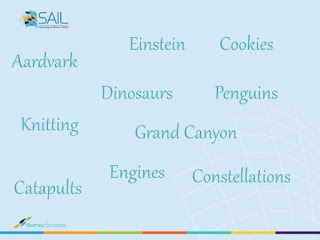 Below are a list of a few of the things I'd like to keep working on to improve as we move towards are second year of SAIL. So that is just a little snapshot of the SAIL program. 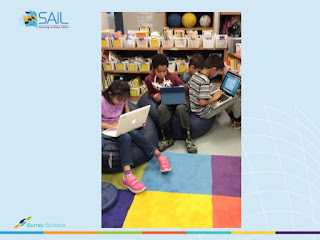 If you're curious to learn more about SAIL please be sure to check out the website https://sailacademy.ca/programs/steam-k7/. There is a great video on the k-7 page that I think you might enjoy. Thanks for sharing your journey this year, Karen. There are so many wonderful things that you discuss here that I think could (and should) be a part of all classroom programs. 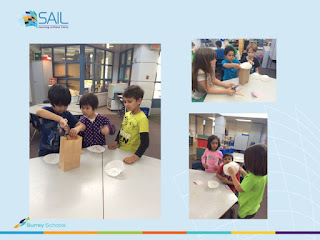 Is there a plan to move the Sail philosophy beyond this program and into regular classroom programs? I wonder how this could be done and the possible impact for kids. Thoughts? You also had quite a spread of ages in your classroom. How did this work out? Any pros or cons that you can share? I've always enjoyed teaching mixed grade groupings, but this is quite the mixed grade. I would love to know more.